Vicente Simón was born in Valencia in 1946. He studied medicine in that city and completed his doctorate in Medicine and Surgery in 1973. He worked as a Wissenschaftlicher Assistent (assistant lecturer) in the Department of Physiology of the University of the Ruhr, in Germany, where he began to take an interest in behavioural studies. On his return to Valencia, he specialized in psychiatry and began teaching Physiological Psychology at the Department of Psychology of the University of Valencia (turned into the Faculty of Psychology in 1883). In addition to his responsibilities for teaching Physiological Psychology, he founded a research laboratory specializing in this field and was director of the Department of Psychobiology until 2003. He gained the permanent position of senior lecturer in Physiological Psychology in 1981 and was appointed Professor of Psychobiology in 1983. He has conducted essential research into Behavioural Pharmacology and has published numerous scientific works in international journals. For 20 years he as devoted himself to the study of awareness and the practice of meditation, publishing a number of works on the topic and taking part in courses and retreats, both in Spain and abroad. He published the review “Mindfulness y neurobiología” (Mindfulness and Neurobiology), which contributed to raising interest in mindfulness in Spain. 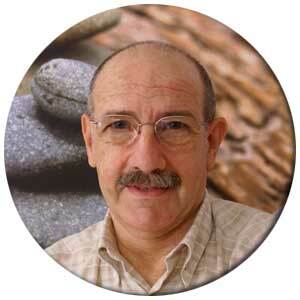 He is a founding member and the honorary president of the Spanish Mindfulness Association (AEMind, formerly AMYS), a not-for- profit association dedicated to promoting mindfulness and training healthcare professionals interested in incorporating mindfulness into the clinical practice. He currently gives courses on meditation and leads meditation groups, particularly for professionals in the field of mental health. He is a member of the Royal Academy of Medicine of the Community of Valencia. El corazón del mindfulness: La consciencia amable.